Can 12 Step Meetings help with Relationship Problems? Yes, 12 step meetings can help with relationship problems. According to the National Institute on Drug Abuse, 12 step programs are easy to integrate into addiction treatment. A part of the 12 steps is to make amends to those you hurt. Drug and alcohol abuse can cause serious problems in relationships between friends and family. It is important that the type of treatment you seek helps you with your relationship problems as well as your addiction. 12 step meetings are not always only about the addiction. Sometimes they are sharing stories and other times they are about dealing with your addiction. One of the major issues with addiction is that you hurt the ones that you love. Part of the 12 steps is to make amends to those you have harmed. This step is important when it comes to repairing your relationships with friends and family. Although family members are not normally invited to 12 step meetings, what you learn in the meetings can help you relate to your family and what you put them through. Many of the other members have families as well. Their sharing can help you learn new techniques to dealing with tough situations when it comes to friends and family. Al-Anon is a 12 step program that helps an addict’s loved ones recover. 12 step meetings can also help you redevelop your social skills. They allow you to learn to socialize without the use of drugs or alcohol. This in turn helps you associate with your family and friends without using the drugs or alcohol as a crutch. Some people begin using drugs and alcohol because they lack the social skills to deal with people on a normal level. Once you stop using, the lack of social skills becomes a problem again. Associating with other people who share the same problem can help you learn how to better connect with people. There are also 12 step programs that help the people who you are in a relationship with. 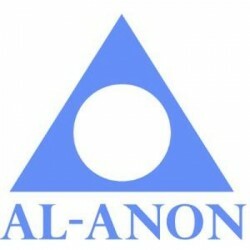 These programs are Al-Anon and Narconon. These two programs are for the friends and family of addicts who need help understanding how to deal with the addiction. While you are completing the 12 steps in your program, they complete their own 12 steps. Mending relationships is one of the hardest parts of a 12 step program. These programs can help you learn to deal with others on an individual basis and show you how to repair the relationships that the addiction harmed. Most 12 step programs involve developing coping mechanisms, social skills, and other types of relationship building. Not only can a 12 step program help you with your recovery, it can help you rebuild the relationships that you destroyed while addicted. They can teach you how to choose partners that are not damaged and help a partner you have that is. For more information on how 12 step meetings can help you with relationship programs, call us at 800-895-1695.